A prominent East Lindsey district councillor has defended a decision to continue representing his ward - even though he lives closer to Paris than Wragby. Coun Nick Guyatt, who won the Wragby ward for the Conservatives in the 2015 elections, has attended just two full meetings of ELDC in the last 12 months - and none since last December. A former Portfolio Holder for Finance, he resigned from the Executive Committee last September but has continued as a councillor. Coun Guyatt has told the News he moved over 220 miles from his home near Wragby to live in Bexhill on Sea in Sussex for medical reasons - and to be closer to his family. Several constituents have contacted the News to complain about Coun Guyatt’s attendance - and the fact he is still a councillor. In a statement, Coun Guyatt said he was still ‘making representations on behalf of residents’. Coun Guyatt has received the support of ELDC leader Coun Craig Leyland. Coun Guyatt said: “For personal reasons relating to my health, I decided to move to the back benches and move nearer to family. “It was my intention to maintain a residence in Lincolnshire but changes to stamp duty - amongst a number of reasons - made such a course unviable. 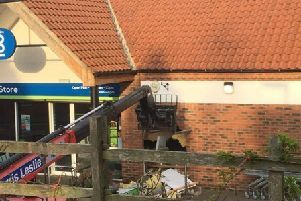 “I am in regular contact with officers at East Lindsey, as well as the clerks of the two active parish councils in the ward. Coun Leyland said he was fully aware of Coun Guyatt’s circumstances and stressed he had his and the council’s support. Coun Leyland stressed he understood Coun Guyatt had initially intended to keep a house in East Lindsey but that was not the case. He confirmed Coun Guyatt had made ‘valuable representations’ on a number of issues. Coun Leyland said he could understand if residents were concerned but stressed he had not received any complaints. He added Coun Guyatt was scheduled to attend a council meeting a couple of months ago but had to abandon his plans because of illness. He is expected at the annual meeting of the council on May 9 - health permitting. Regulations mean a by-election cannot be held with in six months of a main election and Coun Leyland intimated it would be a ‘waste of taxpayers’ money’ organising a by-election now. Rules concerning eligibility for election as a councillor mean an individual must either live in the relevant ward, or own a business or land there. Coun Guyatt complied with those regulations in the elections in May 2015 when he secured 52.2% of the vote. While serving on the Executive, Coun Guyatt was praised for his work in re-organising ELDC finances after massive cuts in Government funding.